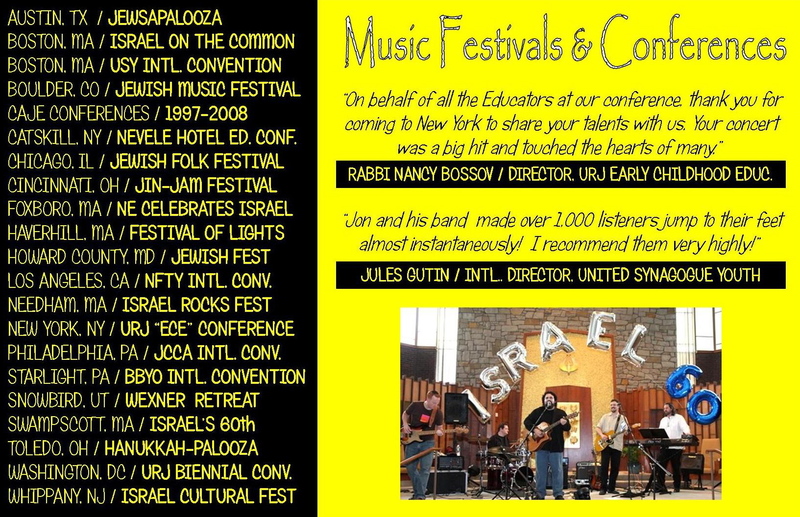 Jon Nelson has been a mainstay in modern Jewish music for close to two decades. A Cantorial Soloist, Educator, Songwriter and Founder of the acclaimed Jewish Rock Band, Yom Hadash, he’s had the opportunity to bring his music to congregations across the nation. As a composer, Jon has released ten CDs, with music that crosses genres and boundaries. His songs are heard on radio rotations in the United States, Canada, Israel and beyond. 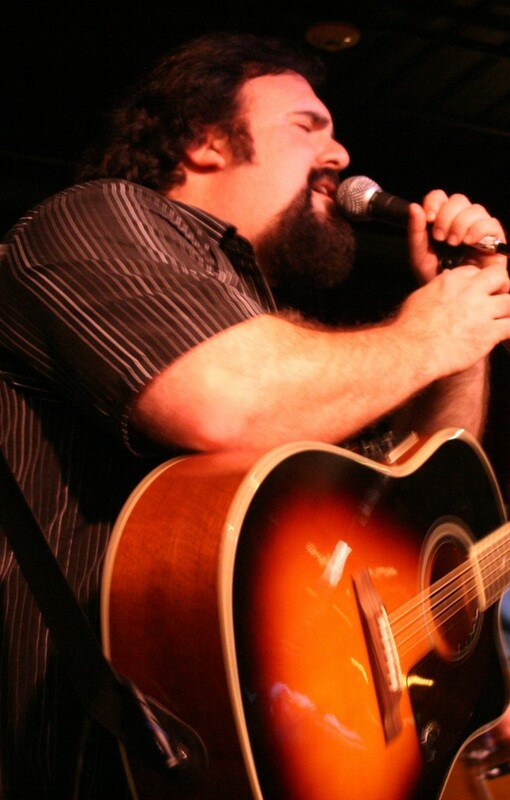 Jon is also a nationally known children’s songwriter/performer, having played hundreds of concerts for young children and families throughout the USA since the mid 1990s. 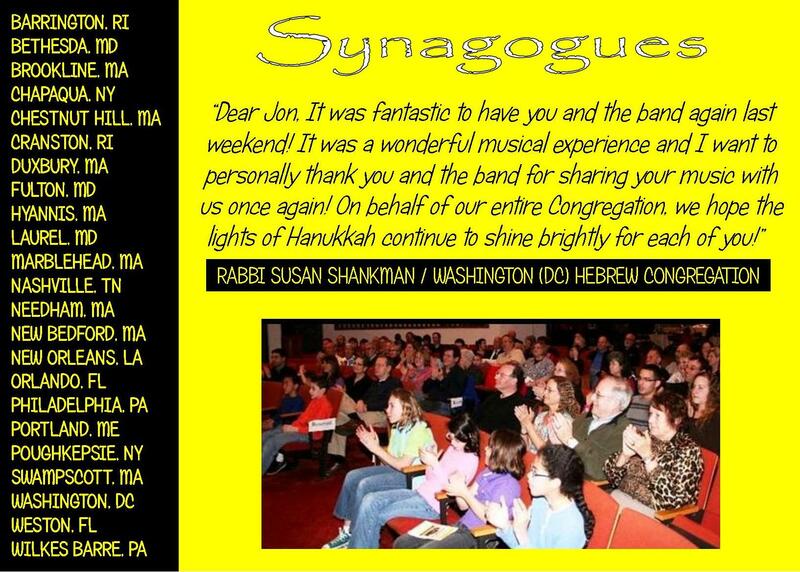 Many of Jon’s original compositions, which tastefully blend the popular music of his youth with the Jewish traditions that were passed down to him, have made their way into the prayer services at synagogues & communties across the nation. 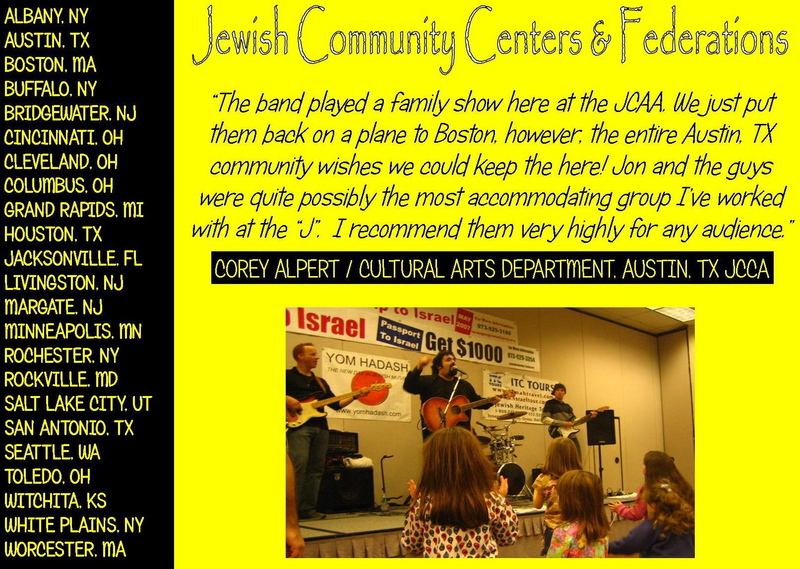 His heart felt composition “Jerusalem,” a song he wrote after first visiting Israel in the mid 1990’s, was used to inspire and involve participants in a national Jewish camping movement. A native of New Bedford, MA, Jon graduated from UMASS Amherst and has a Masters Degree in Education from Cambridge College. Jon resides in Massachusetts with his wife Beth and their children, Ben, Evan and Emily.